DriveTrack Plus is a powerful prepaid card that provides complete fleet management solution to fleet owners and operators in the form of an unbeatable combination of control, convenience, security and attractive reward points. This innovative payment mechanism is designed for efficient management of fleet, through greater control over fuel consumption and operating costs, thereby adding value to business. 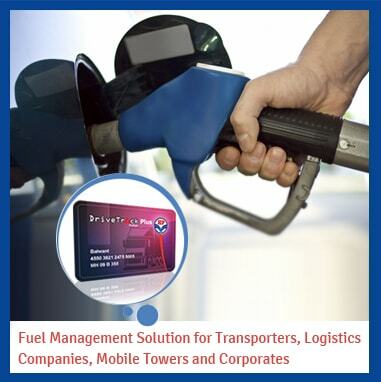 DriveTrack Plus also offers solution to corporates for fuel management and gifting. 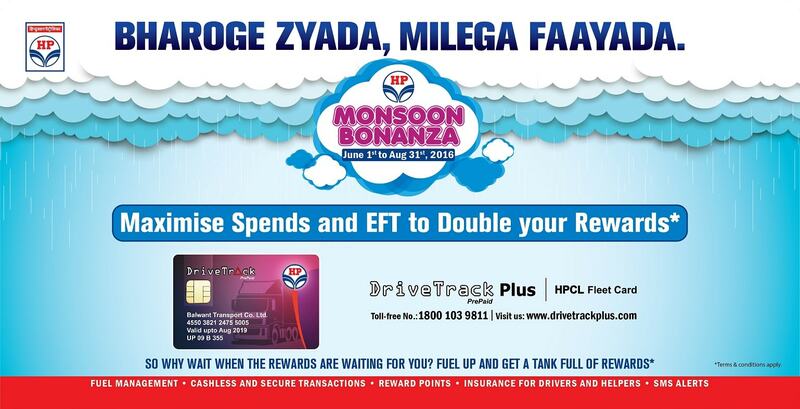 Discover a smart card that enables you to fill fuel through cashless transactions and earns reward points too! 1. NEFT/RTGS (through online banking or by visiting bank branch, for any customers other than ICICI Bank Account Holders) – Here the beneficiary account no. is HPCLXXXXXXXXXX, where XXXXXXXXXX is your Control Card No. IFSC Code to be used is ICIC0000104. 4. I Sure Pay (Cheque Deposit at ICICI Bank Branches for ICICI Bank Account Holders). Please visit https://www.drivetrackplus.com/web/downloads.aspx for details. Cash will not be accepted for Reload or Recharge of all DriveTrack Plus card variants and HP Re-Fuel Card, with effect from 0000 hrs of 1st December, 2016, in order to promote cashless transactions. A unique product specially designed for fleet owners and corporate. Wide acceptance at HPCL retail outlets on all transportation routes. Brings cutting edge options for complete fleet management. Up To 5% Rewards ! Experience the added advantage of Club HP and best in class products at HP retail outlets. Fuel your drive with DriveTrack Plus fleet card. Now get SMS alerts of activity on your Drive Track Plus cards. Call helpline(1800-10-39811) for mobile number updation. DriveTrack Plus Mobile Application launched in Android, IOS (Apple) and Windows platforms. Please download the application from Google Play Store for Android phones, I Tunes Store for Apple phones and Windows App Store ‎for Windows phones. Retail mobile application "My HPCL" is now available on Android, Windows and iOS platforms in Google Play, Windows and I Tunes. It has linkage to DriveTrack Plus Mobile Application as well. All customers can download and provide their valuable feedback.